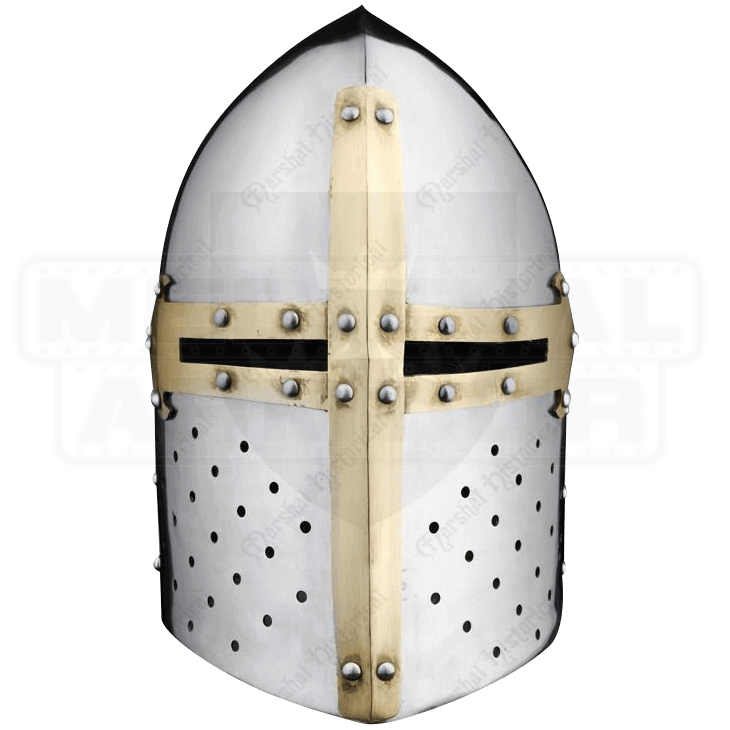 Crusading knights interested in both style and protection must check out the Sugar Loaf Cross Helmet. 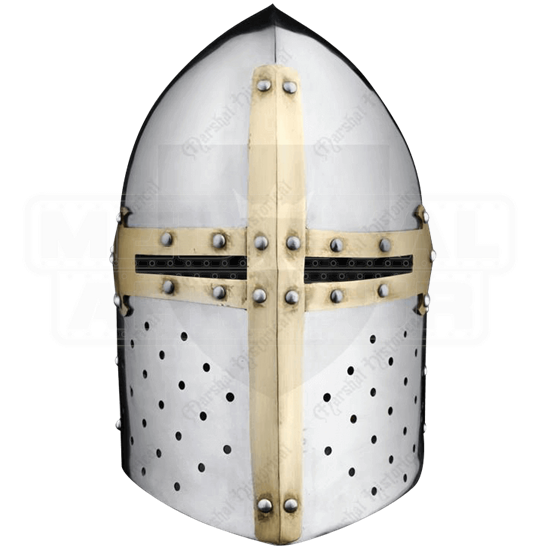 Featuring a bold, brass colored cross across its face, this helmet offers an enclosed design and a sleek, reflective satin finish. The lower portion of this helmet is made of 16 gauge steel, while the sugar loaf cap and cross detail are made of 14 gauge steel. Due to its handcrafted nature, exact steel thickness may vary slightly. Narrow eye slits and small ventilation holes allow for an extreme level of protection.